Sample agent deliverables. Useful real estate agents are honest, knowledgeable, and efficient. Every enterprise in every field of endeavor seeks these qualities in individuals with whom they choose to associate. There are many reasons the real estate industry has set the bar low, which is why the real estate service consumer has to be alert and protect their financial interests when buying and selling real estate. The consumer utilizes the service so infrequently; they do not have the time nor the inclination to learn everything they should know about real estate. The agents to avoid are difficult for the consumer to identify. They emulate the excellent agents. They dress like them, speak like them, and tell the same stories. They have engaging personalities, and they have trained themselves very well to convert prospects into customers and clients. They go to the same houses of worship, join the same service organizations, and enjoy the same sports, like everyone else. This likeness demonstrate the importance of the agent’s ability to render a considered opinion of the value of your home. 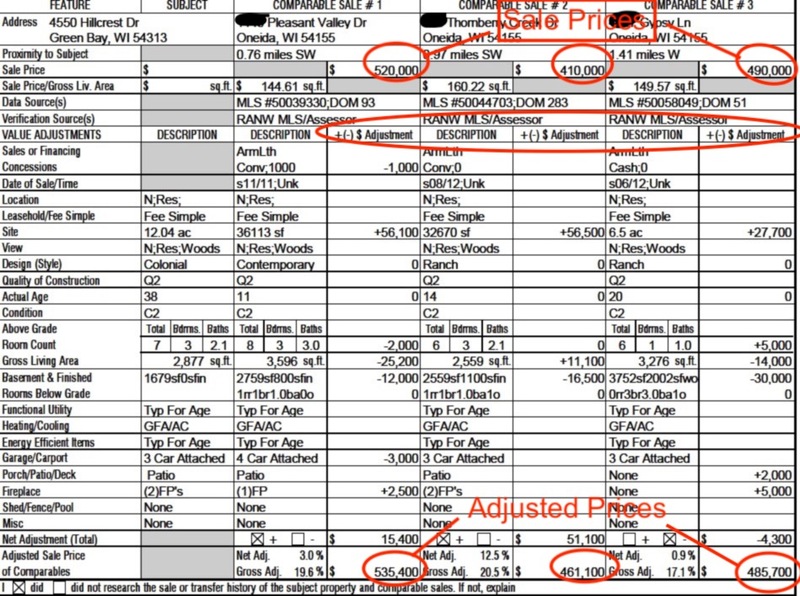 As unbelievable as it may sound to the consumer, many agents have never learned how to make these calculations, or do not value the importance of the data. Why? There are many reasons an agent does not initiate this work. It is the consumer’s task to determine which agent understands the value. Why this is so important? Look at the sale prices being used to compare similar home on the top of the form, and then look at the differences in value after adjustments to the subject property (your home) are calculated at the bottom of the form. 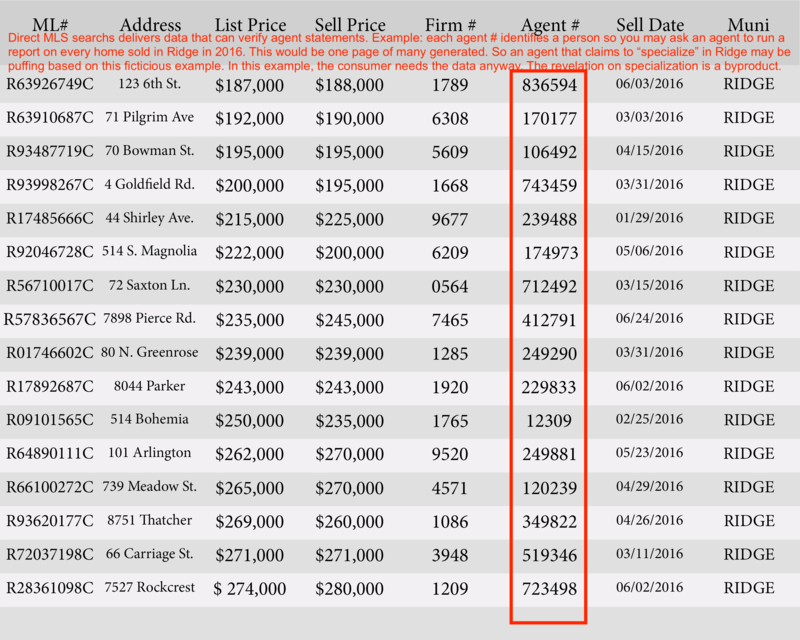 The suggested range of value in this example is between $461,000 and $535,000. The likeness of MLS data below can be produced by real estate agents on demand if they know how to operate the MLS software. Many agents do not know how or have only rudimentary skills – enough to avoid consumer scrutiny. A good real estate agent masters the MLS software because they realize the importance of making such information available to their customers. By asking the agents you are interviewing for the type of information you need, you are testing them for knowledge, honesty, and efficiency.